Buck 25 is an overproof cane vodka for creating your flavors through infusion. 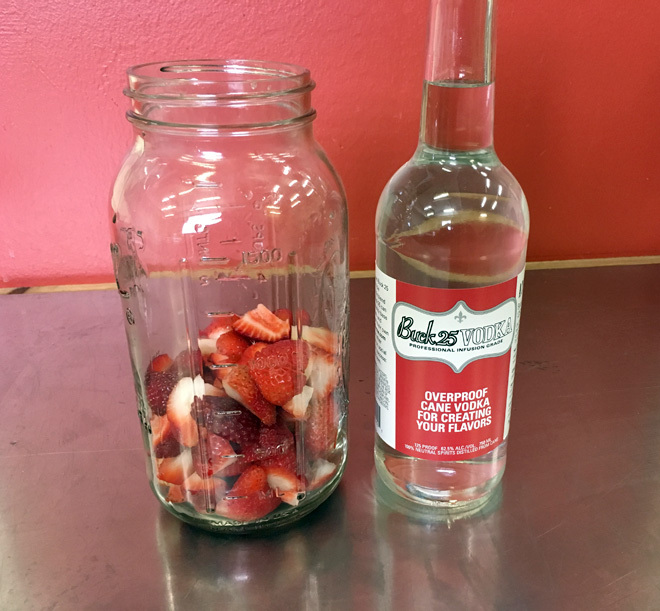 One favorite recipe is our Strawberry Vodka. 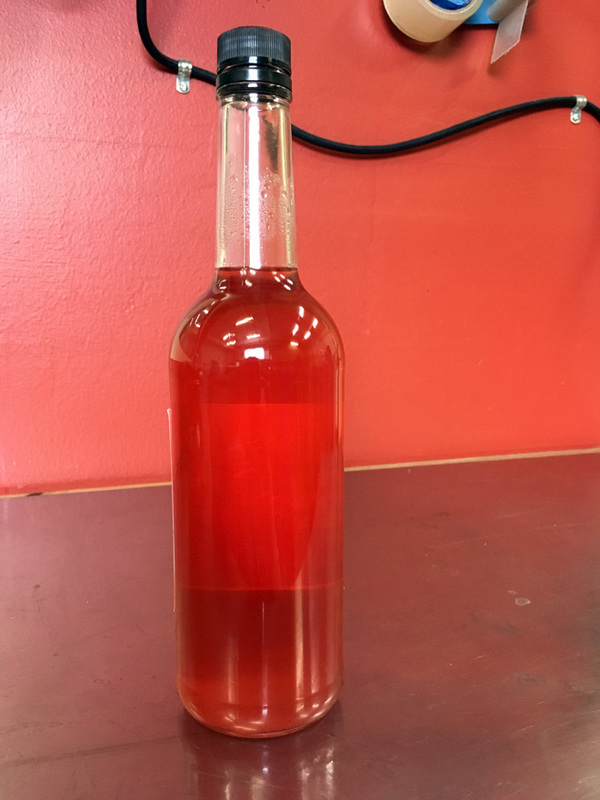 At 125 proof, professional-strength Buck 25 performs a full extraction of the fresh strawberry flavor in just 24 hours. The result is sweet and flavorful. Follow along as we provide a detailed pictorial version of this recipe! 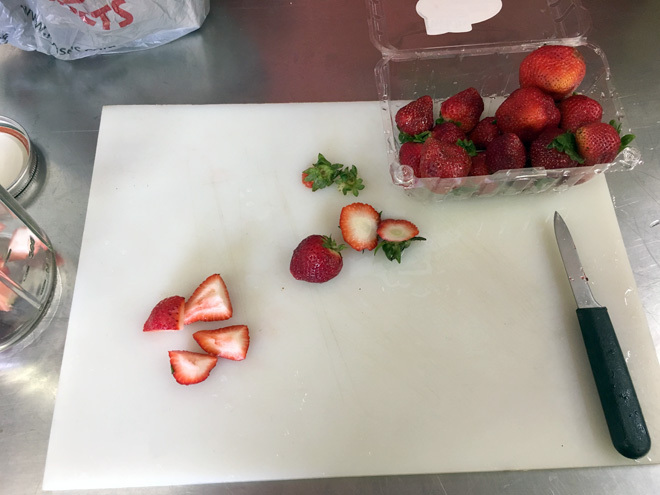 Wash the strawberries, then start by cutting or twisting the top off each berry. Then quarter the berry with a paring knife. 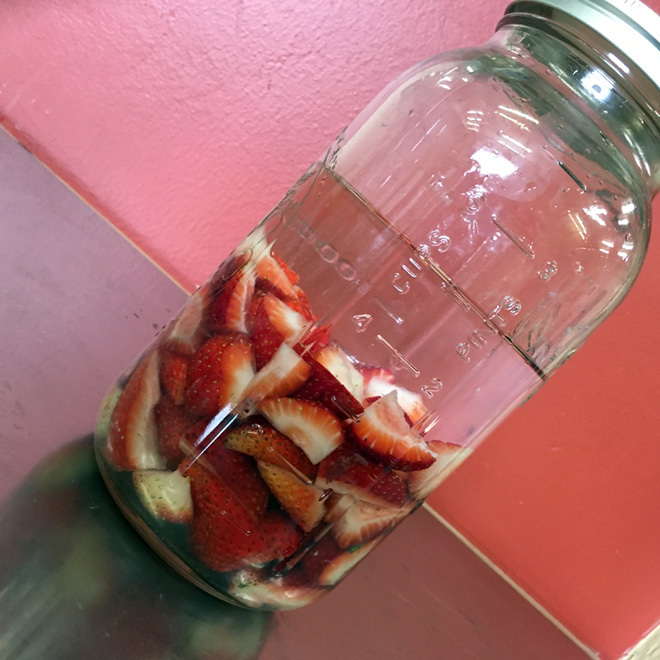 Place the strawberries in a mason jar; in this example, it’s a half-gallon jar to allow plenty of room. 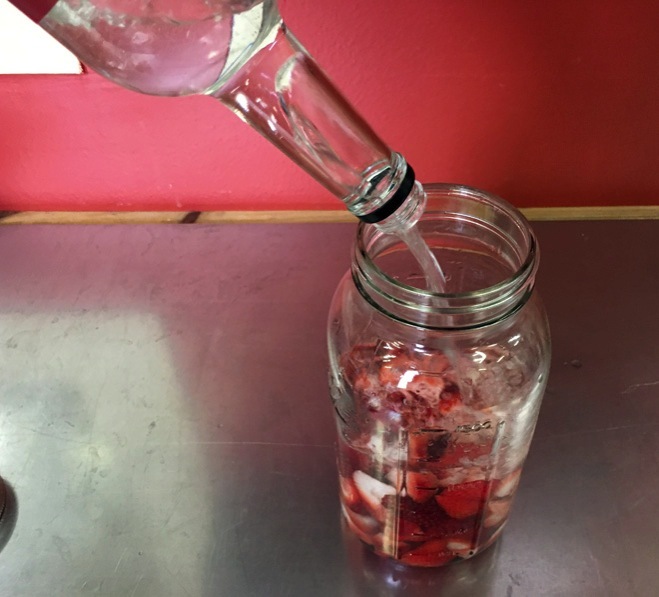 Pour in the full bottle of Buck 25 to completely cover the strawberries. Let the jar sit for 24 hours. You can agitate it occasionally if you like, but it’s not strictly necessary. This photo shows the strawberries just after adding Buck 25. After 24 hours, the vodka will have turned a deep red color. After infusion is complete, strain out the strawberries. 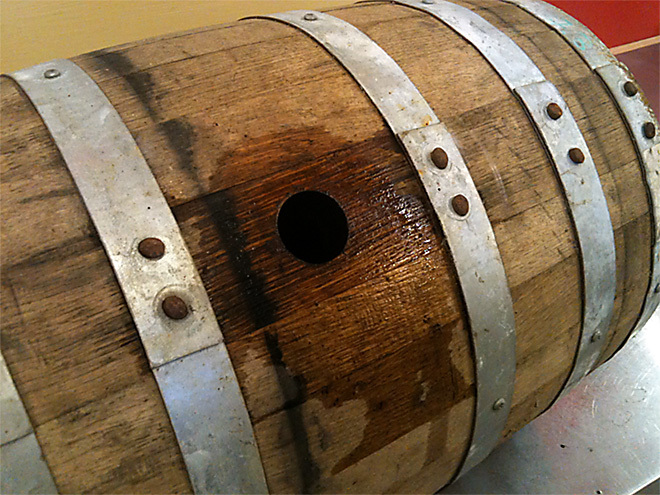 At this point, you can add some additional water to bring your finished infusion down to around 80 proof. Add approximately 50% additional water by volume to bring to a more moderate drinking strength. To wind up exactly at 80 proof, use 435 ml of water to 750 ml of Buck 25 (58% additional water by volume). Or, you can add by weight. The finished infusion will weigh about 688 grams. Add an additional 355 grams of water (52% additional water by weight) to finish at 80 proof. This last image shows the completed infusion after the dilution water has been added. April 17, 2018, New Orleans — Atelier Vie is pleased to announce that we have won two Gold Medals in the San Francisco World Spirits Competition, one of the oldest and largest spirits competitions in the world. 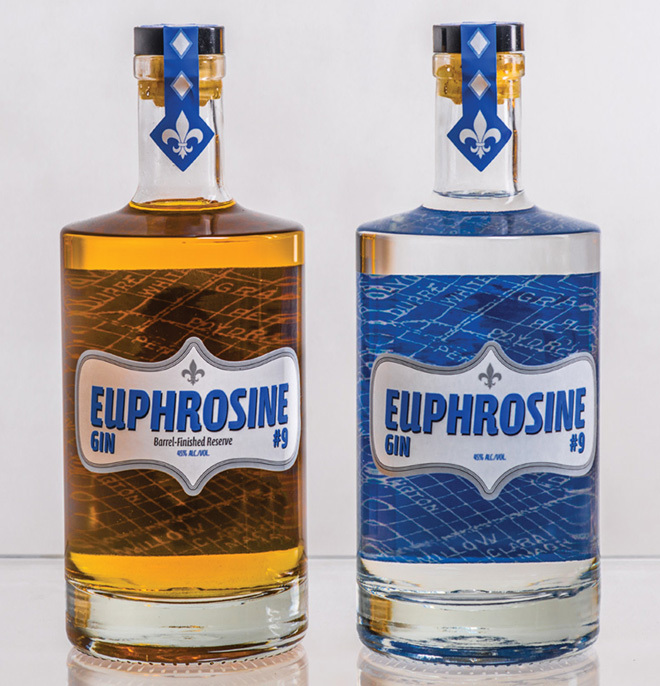 Euphrosine Gin #9 won a Gold Medal and Euphrosine Gin #9 Barrel-Finished Reserve also won a Gold Medal. This year’s competition was the largest ever, with over 2,200 entries. “Atelier Vie went head-to-head against spirits from around the world with no restrictions on entries. Competitors included the largest spirits companies in the world. The fact that we triumphed at this level of competition shows the excellence of our spirits,” said Jedd Haas, President of Atelier Vie. 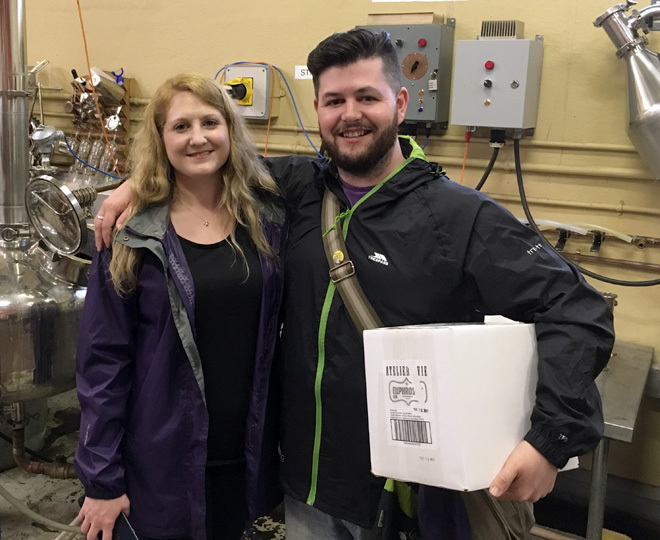 “The San Francisco competition is one of the best-known spirits competitions in the world and we’re pleased to bring home two gold medals to New Orleans. We’re honored to receive recognition of this caliber from such an established and serious competition,” Haas continued. 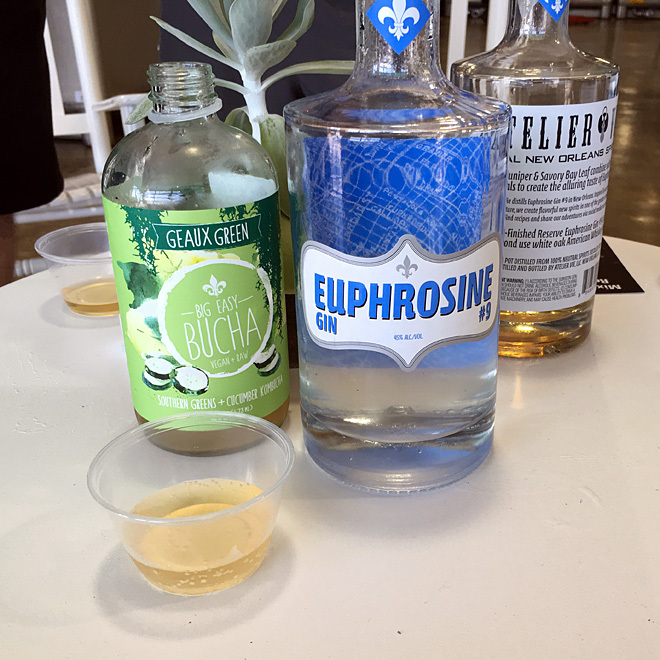 Euphrosine Gin #9 is a flavorful American gin. It’s excellent for cocktail mixing and some gin aficionados have declared it worthy of drinking neat. 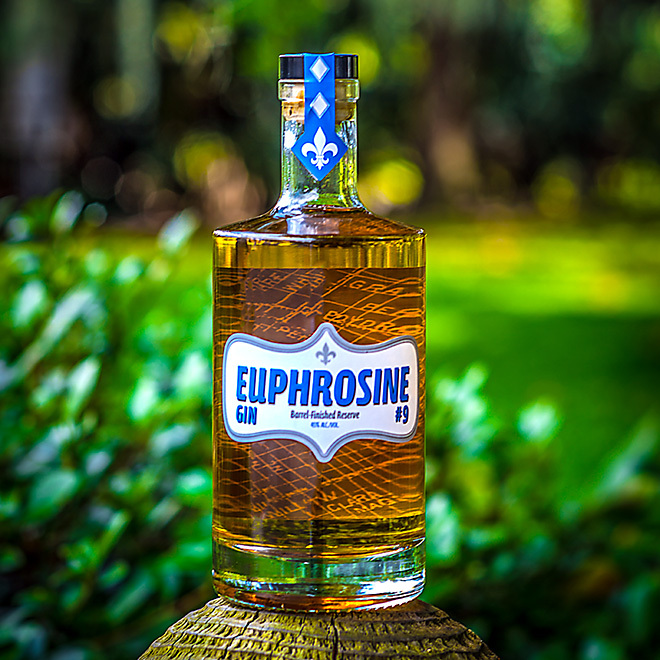 Euphrosine Gin #9 Barrel-Finished Reserve is aged for nine months in American whiskey barrels, giving birth to a new spirit that Atelier Vie describes as “the sipping gin.” Both versions of Euphrosine are bottled at 90 proof in 750ml bottles. 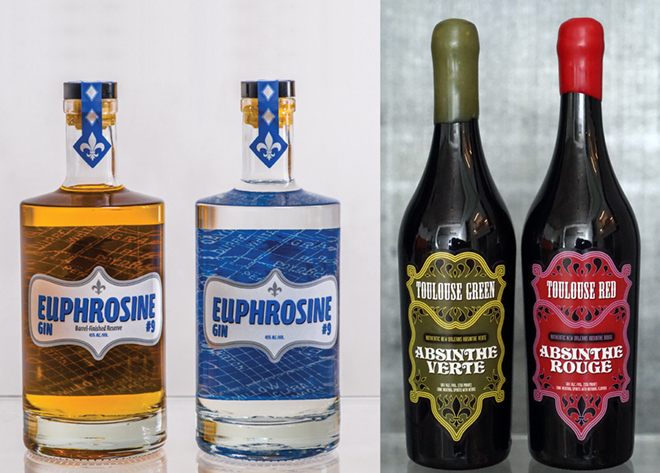 In addition to distilling Euphrosine Gin #9 and Euphrosine Gin #9 Barrel-Finished Reserve, the Atelier Vie line-up also includes Toulouse Green, Absinthe Verte, a traditional-style absinthe based in part on French recipes from the 1800s and distilled with Louisiana wormwood; Toulouse Red, Absinthe Rouge, a “new school” American absinthe colored red with hibiscus and excellent for cocktail mixing, and Orphan Street Brandy, a two year old brandy distilled from “orphan” lots of wine. Atelier Vie also bottles Buck 25 Vodka; an overproof cane vodka designed for creative mixologists to craft their own spirits flavors through rapid infusion. 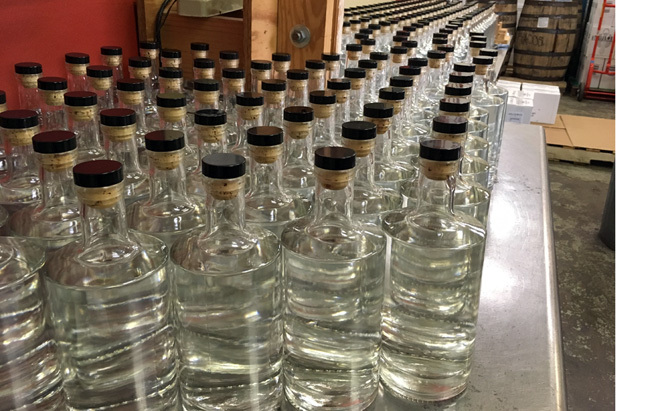 Atelier Vie’s spirits are available to retailers throughout Louisiana from International Wine & Spirits of Louisiana; and select spirits are also available in Mississippi, Texas, Illinois, Indiana, and California. 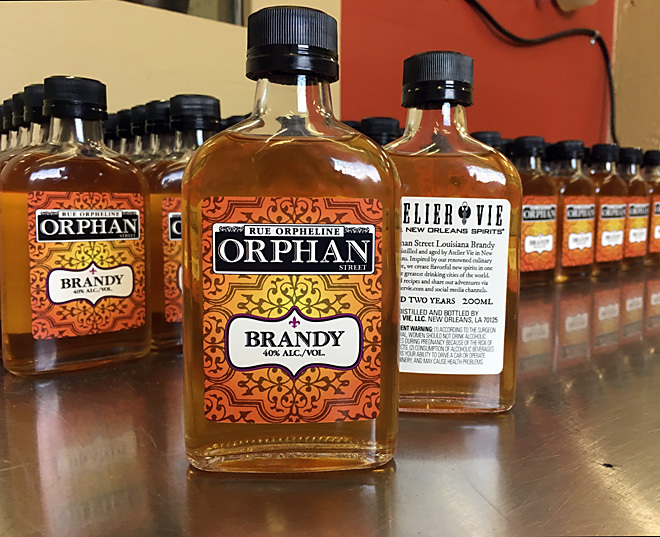 Orphan Street Brandy is produced in limited editions and is only available at the distillery. 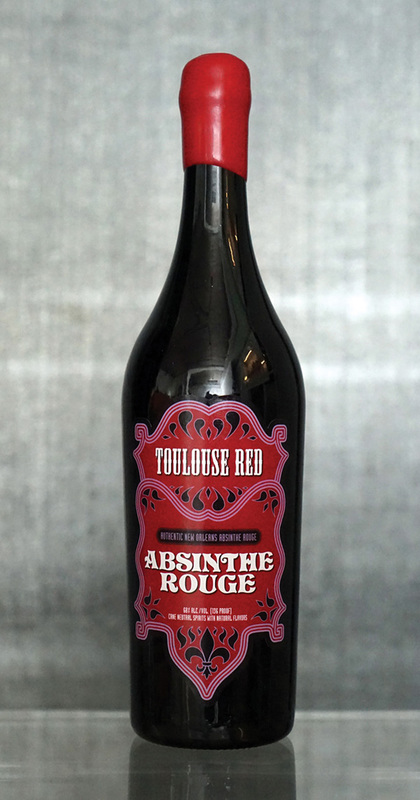 On this day, 5 years ago, Toulouse Red was released. Join us in celebrating and raise a glass of Red! Does someone special deserve the gift of our Real New Orleans Spirits? This week, we’ll be open Monday, November 27, through Friday, December 1, from 10am-1:30pm. Visit during those hours for bottle purchases at the distillery. Our regular weekend hours of 10am-2pm continue on December 2-3, December 9-10, and December 16-17. We’ll be closed the weekend of December 23-24 and during the weekend of December 30-31 we’ll be open by appointment only. Send an email to make an appointment or call 504-534-8590 and leave a message.